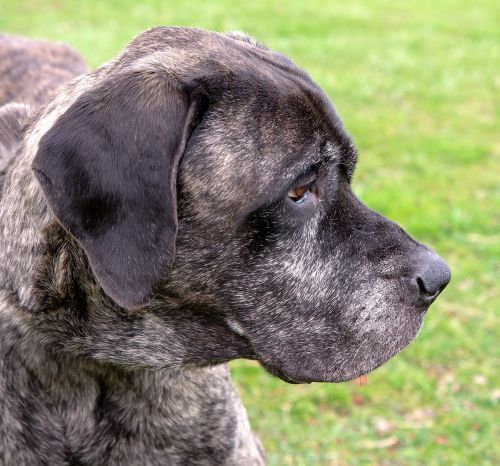 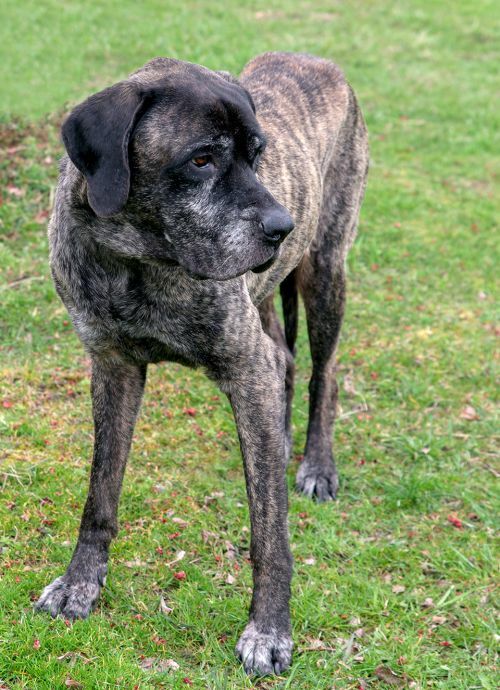 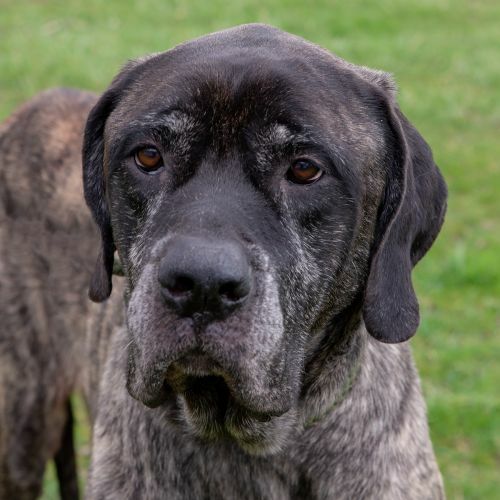 Her owner moved and beautiful brindle Madeline, an 8 year old Great Dane/Mastiff mix found herself without a home or family and in a shelter, where not all dogs receive a second chance. 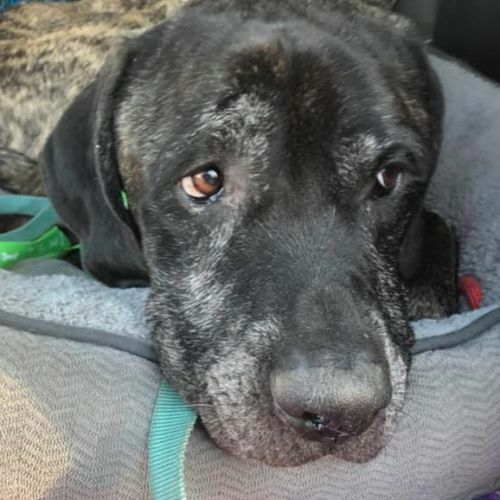 Thanks to a wonderful group of volunteer transporters, Madeline made the long distance trip to NCCR so  that she would have a second chance and be able to find a new family and home to spend the rest of her years in. 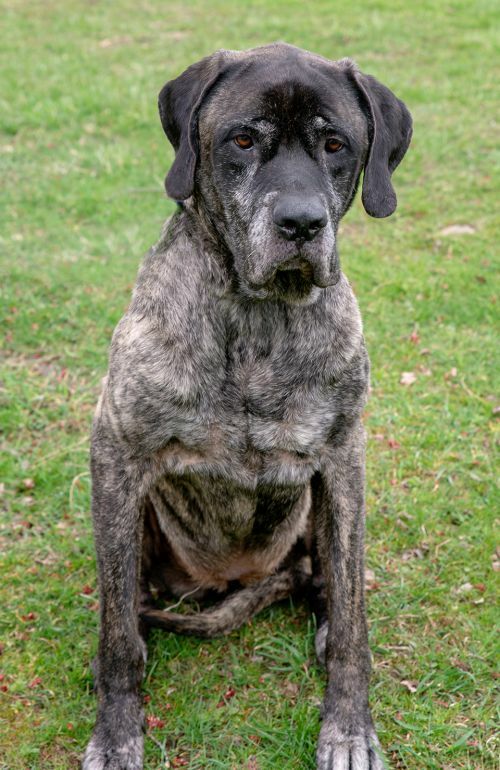 More info to come as we get to know her. 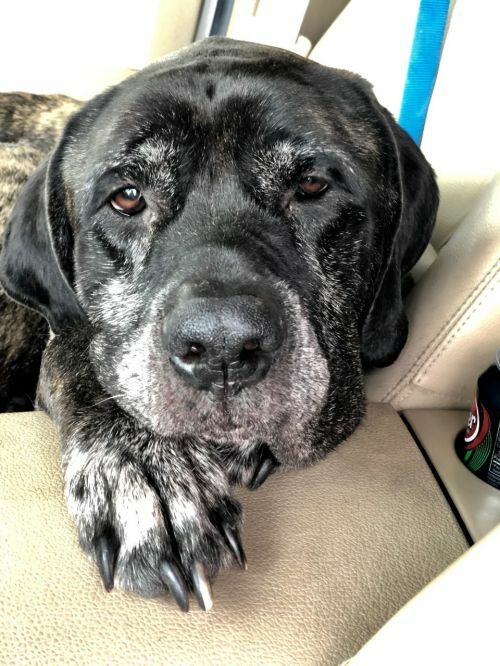 Madeline is kindly sponsored by Dan & Kathy Uszacki, Lucinda Gelsmino, Joseph Incavo, Julie Rabbit, Cathy and David Ferguson, Bob and Trudy Sensel and Amy Peterson in memory of Izzy.